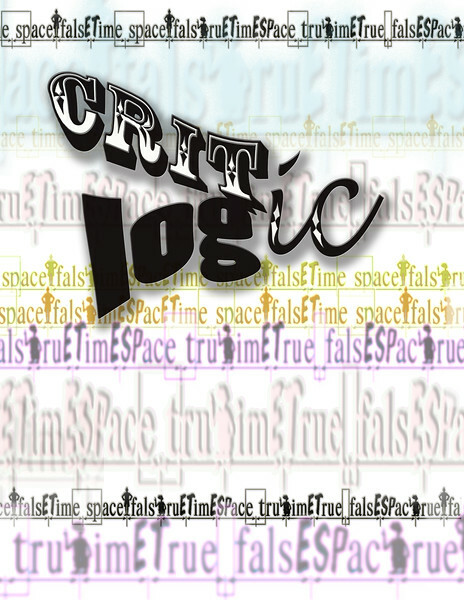 Below is an excerpt from the LogiCritic catalog. It covers four NYC gallery shows and street art during 2005 and 2006, a solo show at the Proposition Gallery, a cease & desist letter from New Line Cinema, a group show at the same gallery, grafitti on the corner of 22nd St. and Eighth Ave., a group show at Deitch Projects, and a group show at Exit Art. 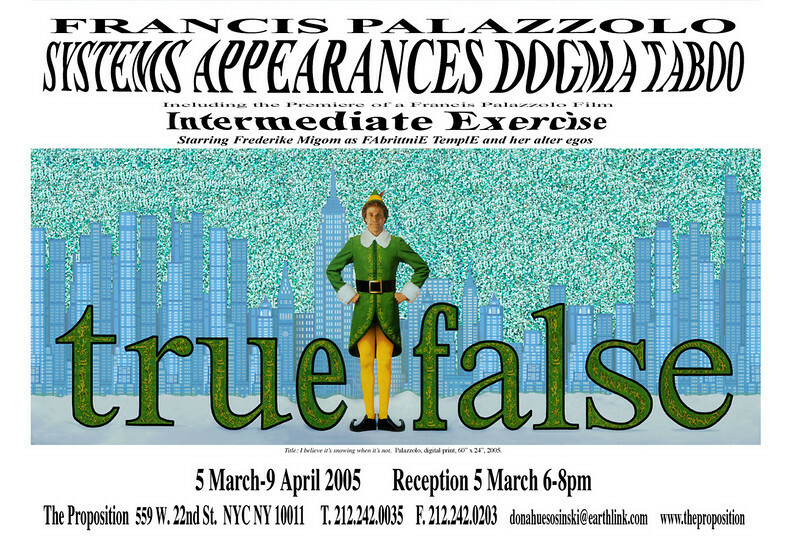 Exhibition Poster, 18" x 24", 2005. Exhibit Review: Widdacombe, Ben. 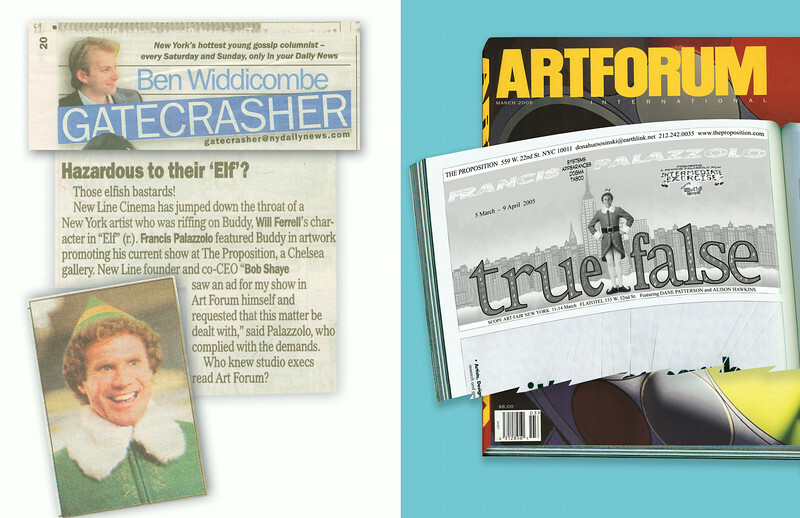 "Harzardous to their Elf", Gatecrasher, Daily News, 19 March p.20, 2005. 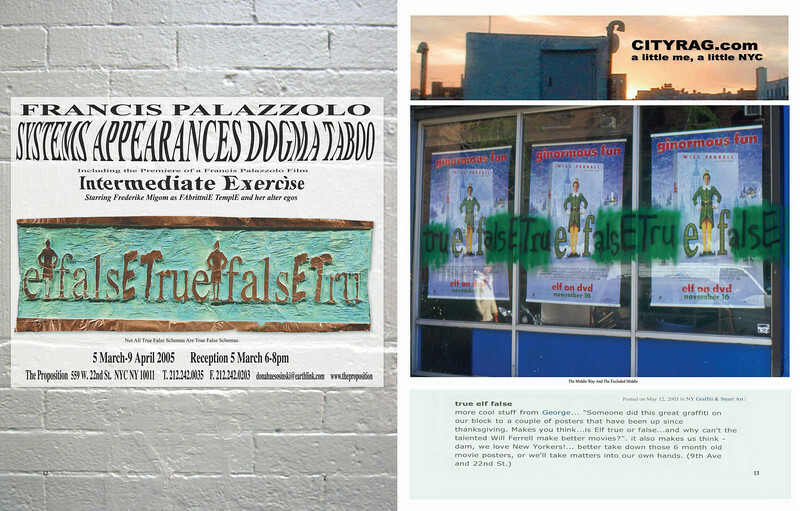 Exhibition ad in ArtForum March 2005. 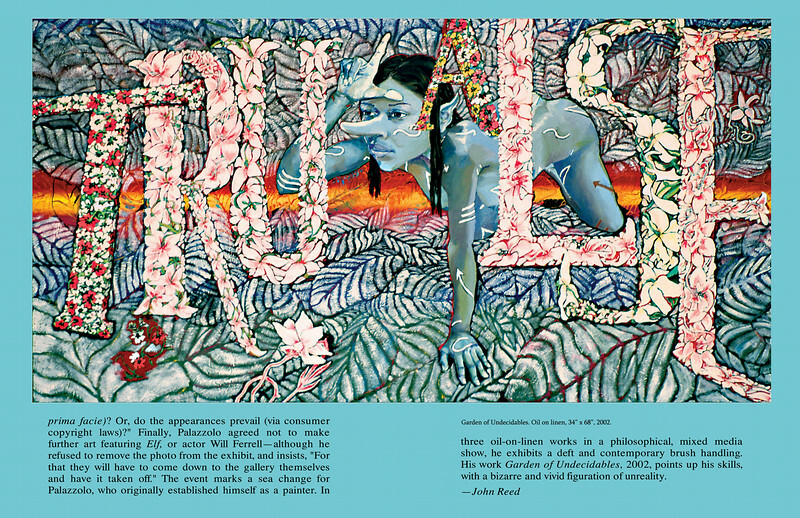 Exhibit review: Reed, John. 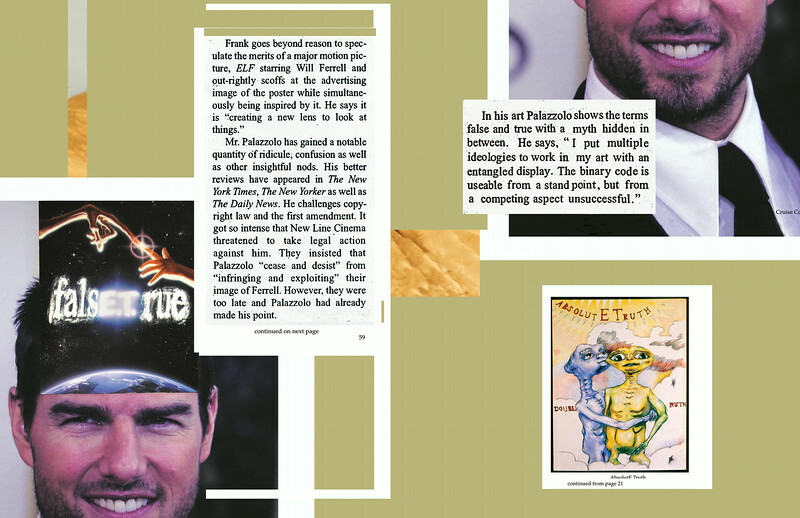 New York Critics' Picks, Art Forum Online, March-April, 2005. 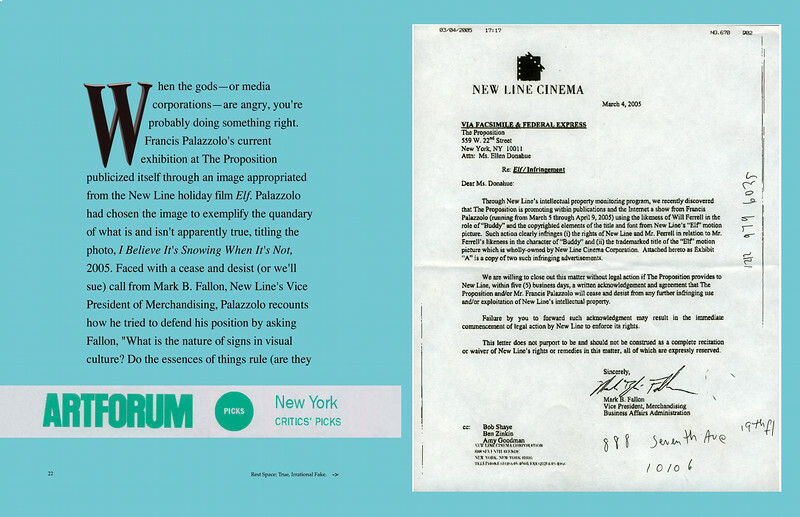 Cease and desist fax to Proposition Gallery from New Line Cinema. Continuation of Art Forum Review. 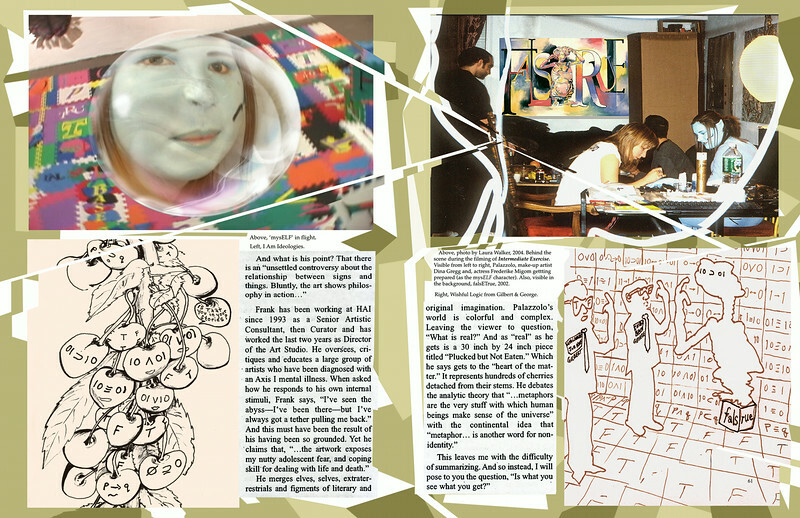 Exhibition Review: George. "True elf false" NY Graffiti & Street Art, cityrag.com. May 21, 2005. 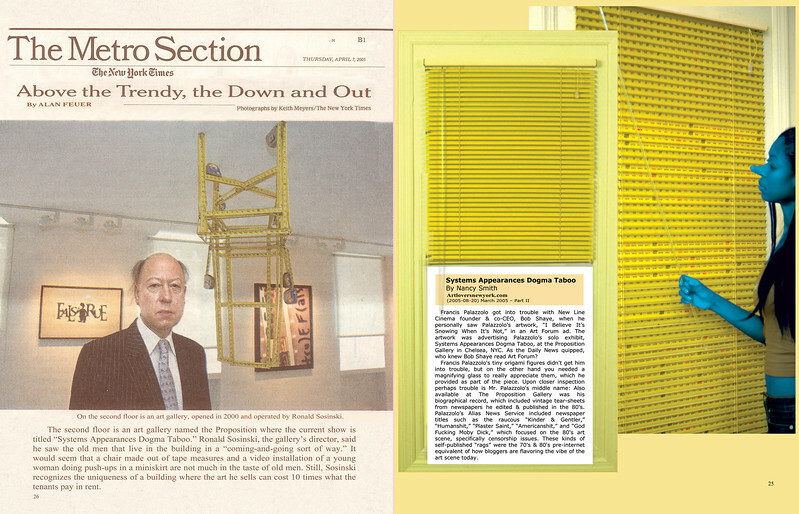 Exhibition Review: Woodson, C. "Clarity from Chaos," New York City Voices, Volume XII, Number 1, Spring, p.19, 2006. 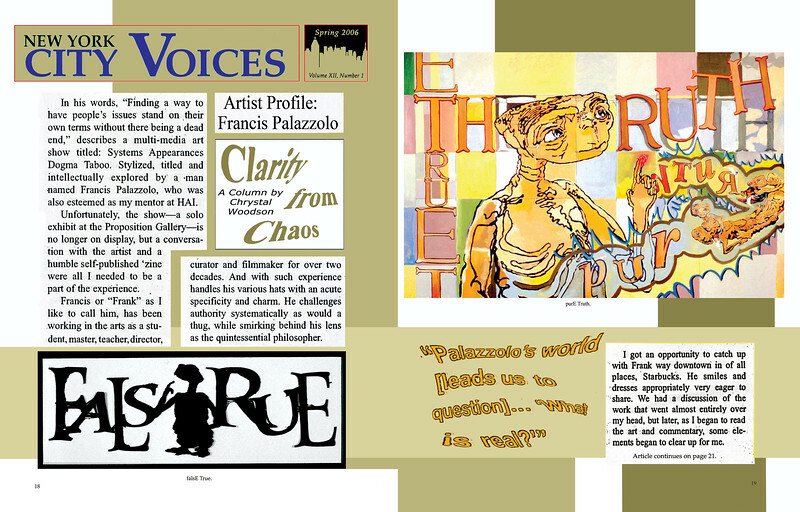 Continuation of Exhibition Review New York City Voices. 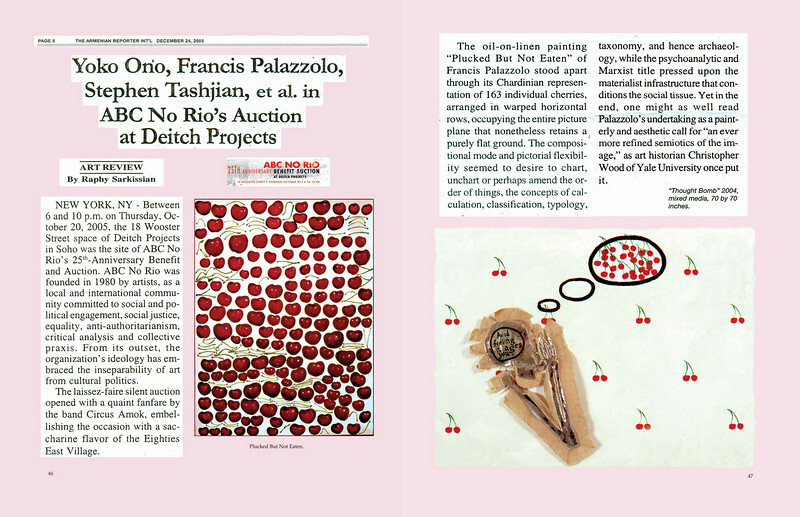 Exhibition Review: Sarkissian, R. "Yoko Ono, Francis Palazzolo, Stephen Tashjian, in ABC show at Deitch Projects," The Armenian Reporter Int'l, 24 Dec p.8, 2006.